The Overview section is the first thing media buyers see when they click on your title in the Media Intelligence Center. Here’s how to make a great first impression. The Overview section is like the “home page” of your AAM Brand View profile. Not only is it the first thing media buyers see when they visit your profile, but it also provides the most opportunities to promote your media brand. The Oregonian’s Overview section below is a great example of how rich promotional text, attractive images and video create a compelling profile. In this article, we look at ways to make your Overview section stand out and showcase AAM clients who have taken their Brand View profiles to the next level. The rich text box where you enter your promotional content offers several ways to customize the look of your text. Use headings to break up content and emphasize important points. Highlight the text you wish to enlarge, click on the Normal button (paragraph format) and select an appropriate heading size. Bold and italicize text for emphasis. Highlight the text you wish to emphasize and click on B for bold or I for italics. Add a horizontal rule to break up text. Place your cursor where you would like to place the rule and click the Insert Horizontal Line button. Highlight the text you would like to link from and click on the link icon. In the pop-up box, enter the website’s URL and click OK.
Embedding video in your Brand View profile adds interactivity to your Overview page. To add a video, select the overview template that includes a spot to embed a video. In the Provide Content section, enter your video’s embed code in the field and click Save. To copy the embed code for a YouTube video, right click on the video and select Copy Embed Code. For a Vimeo video, click the Share button below the video and copy the embed code. While a wide variety of images—size, color and shape—can be uploaded to your Brand View profile, it’s best to keep them consistent. AAM recommends using images that are approximately 400 x 200 pixels and under 100 KB in file size. Keeping file sizes and dimensions small ensures your Brand View profile loads quickly. Adobe Photoshop or an online service like tinypng can help compress your images while still retaining quality. 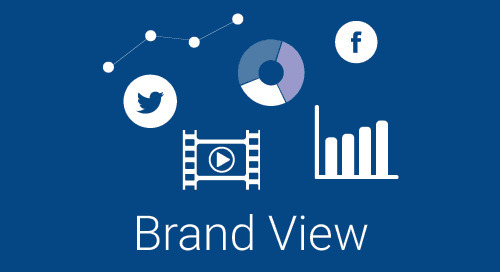 Have questions about how to get started on your Brand View profile? Visit our step-by-step tutorial or contact AAM’s Sandi Licking for pointers. For more great Brand View examples, visit Anatomy of an Attention-Grabbing Brand View Profile. AAM Brand View tells your brand’s big-picture story. Here’s how to get started. Provide ad sales contact information, promote other publications and more to media buyers.